Staycation Or Vacation In Arlington, Texas! You are here: Home / Travel / Staycation Or Vacation In Arlington, Texas! 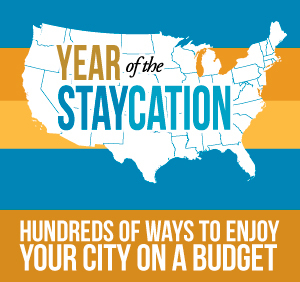 Well, it’s that time of year, when we have been thinking about vacations and staycations. Well, here’s a list to help you whether you live near Arlington, TX which is a “suburb” of Dallas/Fort Worth, or plan to vacation here or nearby! Decorator’s Warehouse, Texas’ #1 Christmas Store, is the largest Christmas store in Texas, and one of the largest in the world. This Christmas wonderland features more than an acre of beautiful Christmas décor and amazing displays including life-size Santas and bears. A visit here is like a stroll down memory lane, a Christmas oasis, a place to escape into a magical world of candy canes, gingerbread houses, lights and Santas, where people and families can celebrate the meaning of Christmas in their own special way. College Park District is the most ambitious project in UT Arlington history—practically a campus in and of itself. Spanning more than 20 acres, the $160 million development is a place where students, neighbors, and visitors can intermingle while enjoying stellar entertainment, sports, and restaurants. The C.R. Smith Museum takes visitors on a flight through American Airlines history, with interactive exhibits that entice participation by all age groups. The museum features hundreds of historical artifacts, photographs, full-scale aircraft engines and a rare Douglas DC-3 airliner. In addition, the museum’s state of the art digital theater features The Spirit of American, a film, featuring the history of commercial aviation as well as breathtaking aerial photography. Chester W. Ditto Golf Course, located in north Arlington, is one of the most sought after courses in the Dallas-Fort Worth Metroplex. This challenging, 18-hole, par 72 golf course, offers plush tiff fairways narrowed by trees and accented with white sand bunkers and ponds. A driving range, a practice putting green and a chipping area are offered to complete one’s golfing experience. The clubhouse offers snack bar concessions and a full line pro shop with today’s most popular equipment and apparel. C.W. Ditto also offers tournaments and private and group lessons taught by PGA Professionals and Apprentices. Under the baton of its founder, Maestro Robert Carter Austin, Symphony Arlington launched a successful debut season in 2000. Symphony Arlington’s continued growth has taken it from Tarrant County College’s 200 seat Roberson Theater in 2000, to University of Texas – Arlington’s 400 seat Rosebud Theater the following season. In 2005 Symphony Arlington moved to the MetroCenter performance space with a 1,750 seat capacity. This move facilitated growth by doubling classical concert attendance, and tripling pops concert attendance in 2006. In October 2010, Symphony Arlington debuted its eleventh season at the newly renovated and permanent home to Symphony Arlington, The Arlington Music Hall. Today Symphony Arlington serves the community as one of the core cultural attractions in Arlington. Imagine a high-octane party where you’re clapping, shouting and singing along with hundreds of your soon-to-be closest friends. Because at Louie Louie’s, YOU are the show! Our “talented” piano players will play your requests for you…anything from Garth Brooks to Metallica, or Def Leppard to Sublime. Write your favorite song on a napkin, slap it on the piano, sit back and enjoy the wild ride! And, whether it’s a birthday, graduation or anything you want to celebrate, bring your friends and family to Louie Louie’s and we will be happy to help you paint the town red. So don’t bring your worries, just your playlists and enjoy an exciting night in Arlington’s Entertainment District. River Legacy Living Science Center serves as the gateway to River Legacy Parks. Nestled into a clearing of existing land contours and oak groves, the 12,000-square-foot nature center has a sustainable design that has a minimal impact on the environment. River Legacy Parks is a 1,300-acre urban oasis that follows the curves of the Trinity River in north Arlington. The Parks’ ecological diversity of bottomland forest, wetlands and prairie provides abundant habitat for countless birds, fish, mammals, and native plants. The Levitt Pavilion has become the place where families and friends of all ages and backgrounds gather to experience 50 nights of FREE music, dance and performing arts every year. The Levitt Pavilion brings the magic of music and the performing arts to Arlington in a whole new way – under the stars! Our performance schedule includes artists from all around the world and right in our own backyard, from jazz to hot Latin rhythms and world music to children’s artists. The International Bowling Museum’s 18,000-square-foot facility is located on the International Bowling Campus in Arlington, TX. It is loaded with history and brimming with fun. Come visit us today. Since Traders Village opened in the Dallas/Fort Worth area in Grand Prairie in 1973, millions of people have browsed, shopped and traded within the acres filled with thousands of dealers offering a little bit of everything, all at bargain prices. The Arlington Museum of Art exists to champion creativity and provide access to art for the cultural enrichment and economic development of our community. Tails and Trails Dog Park – Don’t forget the Dog! A great place to come join your friends and skate, play hockey, have a skating party, or learn to skate from one of our many highly qualified instructors, enter into a figure skating competition or skate in one of our annual seasonal skating shows. Our professional staff of coaches and instructors are anxious to assist you along the way. The next generation of cool thrills is here…MR. FREEZE: Reverse Blast! The new reverse launch begins with an upward vertical climb into the sky staring face forward to the ground. Travel backwards through a 190-foot tunnel, into a 180-degree inversion before climbing more than 200 feet in the air where you’ll find yourself suspended, dangling in the air. Then dive straight down back to earth face-down! The ride maintains the original MR. FREEZE theme, patterned after Batman’s cold-hearted arch rival in the DC Comics Batman series. The adventure begins with a chilling walk through “Snowy’s Cones,” an old abandoned ice cream warehouse that secretly doubles as the favorite hideout of this “Villain of Chillin.” By the time you discover that “Snowy’s Cones” isn’t an ordinary ice cream factory, it’s too late! MR. FREEZE is behind the controls of his iciest revenge—the coolest coaster on the planet. Strap into one of the 20-passenger seats and take off on the reverse ride-of-a-lifetime, covering nearly 1,500-feet of track at spine-chilling speeds of up to 70 mph—making it the fastest reverse roller coaster ride in Texas. There are now two exciting ways to tour the new Cowboys Stadium. If you are interested in touring the entire stadium, and going home with a head full of facts and figures about the world’s largest domed structure, then the VIP Guided Tour is your best option. If you’d rather take your time and explore just the most popular highlights on the Event Level, then the Self-Guided Tour is for you. AMF Spare Time Lanes offers traditional bowling on 40 lanes along with a separate lounge area and an on-site Pro Shop. Watch your favorite sports on five flat-screen TVs or challenge your friends to some family-friendly arcades or a game of billiards. Welcome to the historic Arlington Music Hall, where elegance meets excellence in entertainment. The Arlington Music Hall renovation is now complete and provides audiences with a truly unique entertainment experience. The 1,100 seat auditorium includes state-of-the-art sound and lighting, an expanded stage and a classic new décor that enhances the hall’s sophistication and style. Watch for updates and join us as we turn another page in the history book of this great hall. On April 1, 1994, a new era for the Texas Rangers began with the opening of Rangers Ballpark in Arlington. The beautiful baseball-only facility serves as the centerpiece of a 270-acre complex which solidifies Arlington, Texas as an entertainment giant in the Southwest. Start a NEW FAMILY TRADITION with KidToons every week-end at 11 am for only $1 kid’s tickets & $2 adult tickets. And, for families caring for CHILDREN WITH SPECIAL NEEDS, SMG is offering Special Needs Screenings of family friendly movies, free to all children with special needs & their siblings. Batting cages with a speed that’s right for you! Visit our restaurant for fresh-baked Funzino’stmpizza, Blue Bell® ice cream, cold soft drinks, nachos, and much more! This 10.9-mile paddling trail is the first lake paddling trail and the first trail in the DFW metroplex. Enjoy paddling along the shores of a beautiful lake to enjoy a taste of nature in the middle of this urban center. The Fielder House, located at the corner of Fielder and Abram streets, was built for Mr. and Mrs. James Park Fielder, Sr. as their private residence in 1914. The two-story house, surrounded by magnificent oaks was one of the first brick homes in Arlington. The galleries at the Fielder House are used primarily to exhibit themes and topics relating to the history of Arlington and its surrounding communities. Past exhibits include “Faces of Arlington” WWII – A series of exhibits showcasing the community, its residents and the hometown hero’s of WWII. Permanent exhibits include the Fielder Kitchen, Fielder Room, Children’s and Media Room, Dr. Zack Bobo’s Office, the Cooper Gallery, Watson Bedroom and Collectables in the basement. Creative Arts Theatre & School The success of CATS’ programs is ultimately judged by the community response to its classes and shows—and by the successes of its students. Many CATS alumnae have been accepted into prestigious theatre programs at such schools as Florida State University, Southern Methodist University, Boston Conservatory of Music, Northwestern University, and Harvard University. Daily campus tours are led by UT Arlington students called MavElite. The campus tour is a walking tour and lasts approximately 2 hours and 30 minutes. The tour includes stops inside several academic buildings, a visit to our dining center called Connection Cafe to experience the sights and smells of eating on campus, a visit to the Fine Arts and Architecture galleries, stops in the Maverick Activities Center, the Main Stage Theater, a ride on the Mav Mover Shuttle bus to see our Studio Art Center featuring student art and our award-winning glassblowing studio and much more. The tour is a walking tour, so please wear comfortable shoes. Also, please be aware of current weather conditions and dress accordingly, as our tours still take place in the rain or cold weather, unless conditions become unsafe. Warning: you are about to be abducted (and splashed). Yes, it’s a UFO (Ultimate Fun Object), with two 500-foot tentacle tubes from an ominous black flying saucer. They send you on special inner tubes that zoom through the inner darkness of the tentacles, all the way down to a splashy ending. If you are around here and think of any others – please comment and share with us all! Remember, tomorrow I will share the links with you for all of the posts from all over the country! The Knapp Heritage Park, located at 201 W. Front Street in downtown Arlington provides a glimpse of pioneer life. The park consists of a one-room schoolhouse, a one-room cabin, a dog trot cabin, and the Bardin barn. There is also a general store located in James Knapp’s law office and is recognized as a landmark from the Arlington Preservation Society. Audio MP3 tours coming soon!